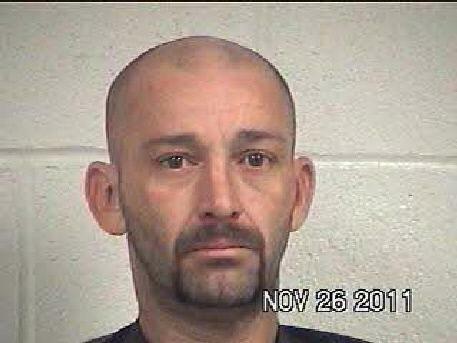 James Ray Walker, 43, of Livingston, has a long criminal history. Livingston Man Gets 25 Years for Robbery, LIVINGSTON, June 29, 2012 - After a jury trial earlier this week in Judge Elizabeth Coker's district court, a 25 year old Polk County man is, (thankfully) older, and (hopefully) wiser; while another man, James Ray Walker, 43, of Livingston, a many times convicted offender, is on his way to prison for 25 years. On November 11, 2011, the 25 year old went to the Whirlwind Club in Polk County for an evening of drinking beer and playing pool. Also at the Whirlwind that night were Walker and three of his friends, including David Allen Davis (also 25, and also a multiple offender who was on felony probation in Louisiana). Davis and the victim spent several hours playing pool; then Davis invited the victim to an after party which Davis said would take place at the home of his aunt, Virginia Nelson, on East Capps Road. Davis explained to the victim that he would have to ride with the victim to show him the location. Walker and the others followed in Walker's black 2005 Dodge truck. When the victim turned onto East Capps Road (off Highway146 South), Davis asked him to pull over so he could go to the bathroom. As soon as the victim stopped, one of the men from Walker's truck rushed to the victim's car, violently pushed the driver's door open and began beating the victim. Davis began pulling him out the passenger door. After beating him, taking his wallet and Blackberry phone, the assailants threatened to kill him and then left him lying on the roadside. They also smashed a window and otherwise damaged his vehicle. After the victim was sure that Walker and his companions were gone he drove to a friend's house and called 911. Deputy Billy Duke of the Polk County Sheriff's Office responded at 3:40 a.m., taking the victim's statement as well as several photographs of his injuries. At 4:30 a.m. Duke left the victim to respond to a call for back up from Livingston Police Sergeant Darrell Newman who had stopped a black 2005 Dodge truck for expired registration at the Valero station on Highway 146 (Houston Street). James Walker was the driver and David Davis was the sole passenger. Upon searching the truck the victim's wallet was found between the passenger seat and door. All of the cash and most identification was missing. After a brief investigation Walker and Davis were arrested for robbery and have remained in the Polk County jail. Davis pled guilty in early June and was sentenced to seven years in prison. At the time Davis was on probation for a felony theft charge from Cameron Parish, Louisiana. He has 10 prior arrests with convictions for Assault, Breach of the Peace, Unauthorized Use of a Motor Vehicle and three Thefts. Walker chose to plead not guilty and a jury trial was held earlier this week. Walker testified, admitting that he was in the driver's seat of his truck at the scene of the robbery, but asserted he did not see or hear the beating of the victim. After leaving the scene he said he dropped Davis off at his aunt's house. He claimed he then returned to the home of his girlfriend, Nickie Wiggins, in the 2000 block of Houston Street and went to sleep thirty minutes later (around 4:00 a.m., although at one time Walker claimed he went to sleep around 2:30 a.m.). Walker related that he was awakened at 5:30 or 6:00 a.m. by Davis who had walked the several miles from his aunt's on East Capps, and requested a ride to work. Walker could not explain the inconsistency between his version and the fact that he and Davis were stopped by Sergeant Newman at 4:30 a.m. The State called the business owner for whom Davis claimed to work. She testified that Davis had never worked for her. The jury found Walker guilty of robbery after approximately 20 minutes of deliberation. Walker has an extensive criminal history with more than 30 arrests. In 2007 and 2008 he was sentenced to two years and three years hard labor in prison, respectively, on felony drug charges in St. Tammany Parish, Louisiana. He has several convictions including Assault (4), Criminal Mischief, Driving While Intoxicated (2), Driving While License Suspended (2), Unauthorized Use of a Motor Vehicle, Reckless Operation of a Vehicle, Resisting Arrest, Theft and the two drug charges. A number of charges, including Aggravated Battery (assault) and Aggravated Burglary in Louisiana, were dismissed when he was sentenced on some of the above convictions. After the finding of guilt by the jury Walker agreed to a sentence of 25 years with a waiver of his right to an appeal. Joe Martin, Assistant District Attorney, stated, "We don't see a lot of criminals with as bad a history as Walker's. The jury did a good thing in helping us keep him off the street for several years. Maybe the jury would have given him more than 25 if I hadn't made the agreement, but that's not a sure thing. This way there is finality - he gave up his right to appeal. He won't be eligible for parole for more than six years, and hopefully the parole board will show some sanity and keep him for a lot longer." Regarding Davis, Martin said, "If I had known how well my witnesses would perform at trial I probably wouldn't have given him the seven year offer. But at least he had enough sense to take it. It's regrettable that we have to make plea bargain offers; however that's just the nature of the beast given the volume of felony cases we file each year (around 900). But if a defendant, like Walker, won't take the offer, then all deals are off. Sometimes, as in this case, that works out really good for us". The other two assailants have never been conclusively identified. Walker testified that his son, Christopher Michael Burge, and another man named Mike (described as early 20's with red hair and brown eyes), who he believes is a cousin of Davis, were with them at the club. Any person having information as to the identity or whereabouts of these men should contact Joe Martin at the district attorney's office (936-327-6868).